He is a native of Meridian. He earned accounting and law degrees from the University of Mississippi. He attended Meridian Community College and Mississippi State University - Meridian Branch. He was a Certified Public Accountant from 1984 through 2007. 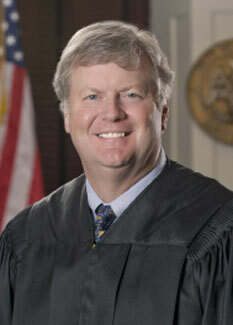 Justice Griffis is admitted to practice law before the United States Supreme Court, the Fifth Circuit Court of Appeals, the United States District Courts of the Northern and Southern Districts of Mississippi, and all Mississippi state courts. He is a member of the Mississippi Bar, the Magnolia Bar Association, the Madison County Bar Association, the Capital Area Bar Association, and the Rankin County Bar Association. He is a Fellow of the American Bar Foundation. He previously served as a member of the Mississippi Supreme Court’s Rules Advisory Committee and as chair of the Bench Bar Committee of the Mississippi Bar. He also served on the Committee on Continuing Judicial Education and the Committee on Electronic Filing and Case Management Systems. He was an adjunct professor at Mississippi College School of Law, Belhaven University, the University of Mississippi School of Law, and Meridian Community College.